I distinctly remember watching an episode of Where on Earth is Carmen Sandiego? as a kid where Carmen travelled around the world stealing the Mona Lisa’s smile and a pair of Van Gogh’s eyes from paintings in an effort to make the perfect masterpiece – that was my highly sophisticated introduction to art crime. The reality of art crime is far less cartoonish, but I’m still as captivated by the stories as ever. It’s hard to imagine that a criminal would think they could successfully sell or enjoy a recognisable stolen work, but Noah explained to me that organised crime groups may use stolen art goods to fund terrorist activities or as collateral for loans and trades. Many thieves are caught as they try to sell works, and data shows that they often price the pieces at a tenth of their value to find a criminal buyer. That buyer often turns out to be an undercover agent like Charles Hill, a fascinating man who worked for over 20 years tracking down stolen artworks by some of the most famous artists you can imagine. It’s not every detective that can say they helped recover a stolen Goya or tracked down Edvard Munch’s The Scream after a museum smash and grab. The category of forgeries is interesting to consider from a psychological perspective. Forgers straddle the line between wanting to pull the wool over the eyes of art market experts and wanting to be recognised for their talents and work. Over time if they aren’t caught, they may even reveal themselves to get the recognition. For these reasons, Noah explains that the public often perceives forgers as ‘more prankster than gangster’. Some forgers may even become famous in their own right, including Eric Hebborn, who wrote The Art Forger’s Handbook, and John Myatt, who hosted Fame in the Frame on Sky Arts after being convicted of forgery. 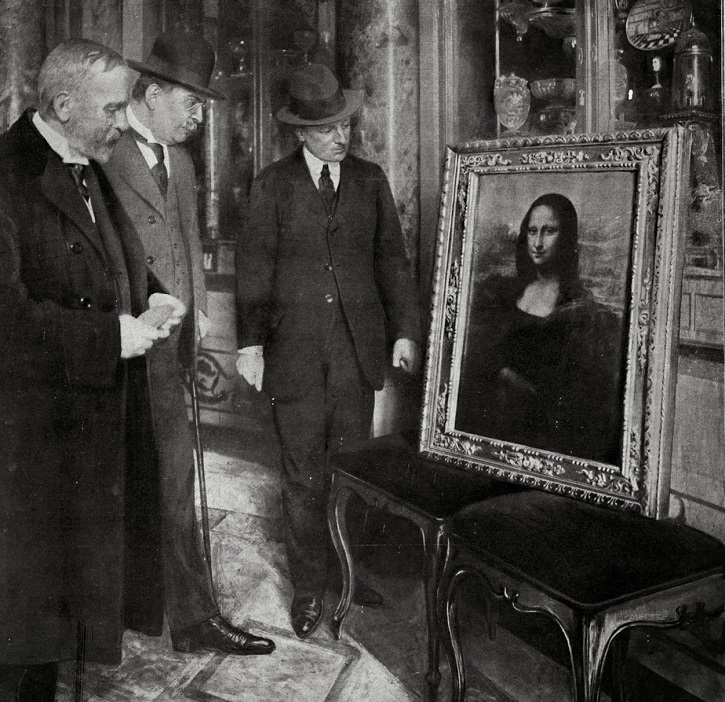 In terms of thefts, one of the most famous stories has to be the 1911 theft of Leonardo da Vinci’s Mona Lisa from the Louvre. It is now one of the most guarded paintings in the world with constant surveillance, monitoring by invisible beams and protective bulletproof glass. Listen to the full episode above to hear Noah tell the story of how the painting was stolen by a guard, smuggled to Italy and led to the police questioning Pablo Picasso as a suspect. One doesn’t have to travel all the way to the Louvre for these stories. 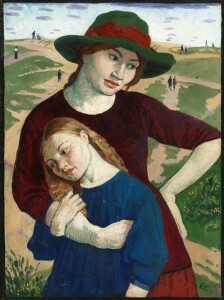 While looking through works on the Art UK website, I came across a painting in a UK collection with its own interesting tale. In 1974, a thief scaled a 10-foot wall, smashed a window of Kenwood House, and ran off with Johannes Vermeer’s The Guitar Player before a guard could catch them. Scotland Yard was on the lookout for any attempt by a thief to exit the country with the painting, but also given how famous the painting is, they thought there could be a call for a ransom. Sure enough, a man called The Guardian newspaper demanding $1.1 million in food relief to be sent to Grenada in exchange for the painting’s safe return. The man claimed to be from the Caribbean island which had gained independence from Britain just one month prior to the incident. Eventually, the painting was recovered in a graveyard after an anonymous tip and it’s safely back at Kenwood House. Be sure to listen to the full episode to hear Noah’s fascinating stories about lost art, forgeries and thefts. For even greater detail, he teaches a class on art crime each summer, and you can take part! To be an art detective of a different kind, you’ll be interested to know that we have a whole website dedicated to solving art mysteries.